The first item that caught my eye was a grey jumper with a cut-out floral stitched detail collar. 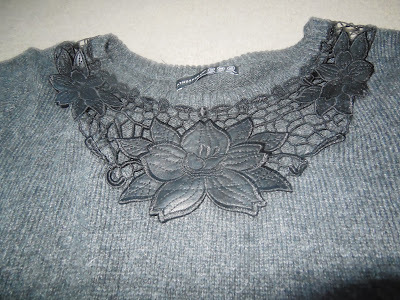 It was so warm and soft as it contained 4% angora. 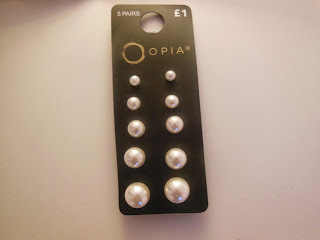 This cost £14 - the most expensive thing I bought. 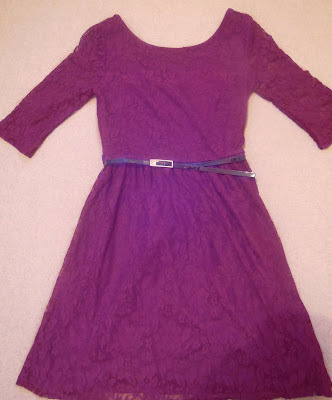 The second item was a lace skater dress in a dark berry shade, with three quarter length transparent sleeves. The material is soft and doesn't itch at all, I'm probably going to wear it on Christmas day! This cost me £10. 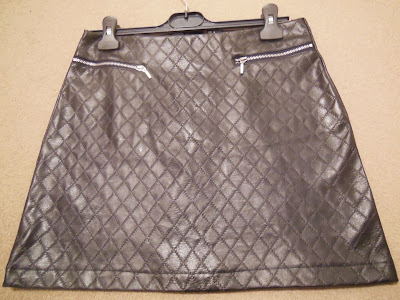 The next thing was a nice A-line leather mini-skirt with zip details. 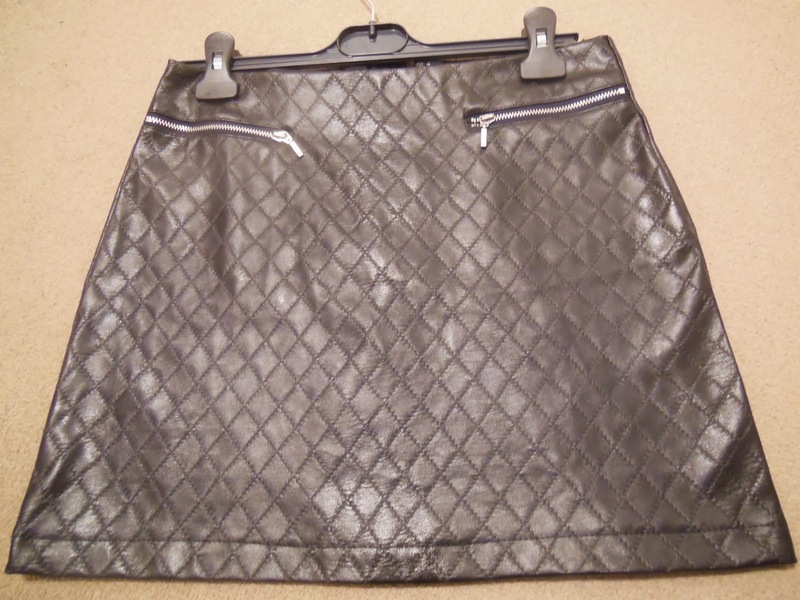 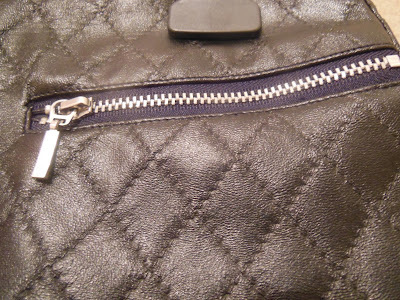 It was love at first sight with this; the quilted detail is so reminiscent of Chanel handbags and I'd been wanting a leather skirt for ages! 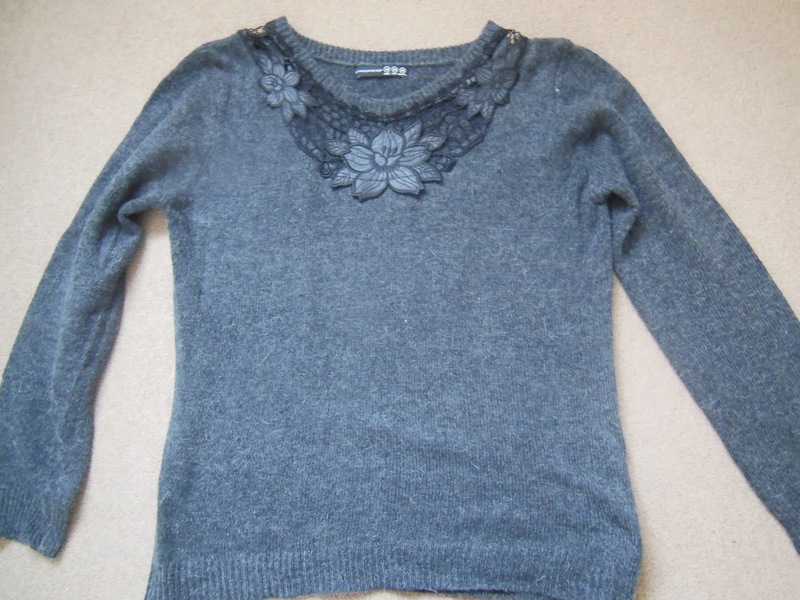 It was also £10. 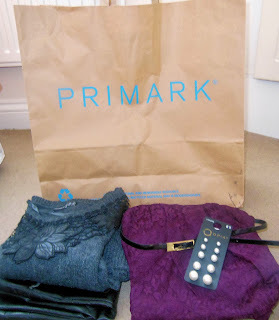 The last section of the store I visited was the accessories, I seriously cannot leave Primark without going there! Every time I need to pick-up something so I bought these pearl earrings, 5 different sizes, for £1. Bargain.